I literally can’t believe that this was my first purchase from Too Faced. There are soooo many products that I want to try, but for my first purchase I decided to only buy something small. 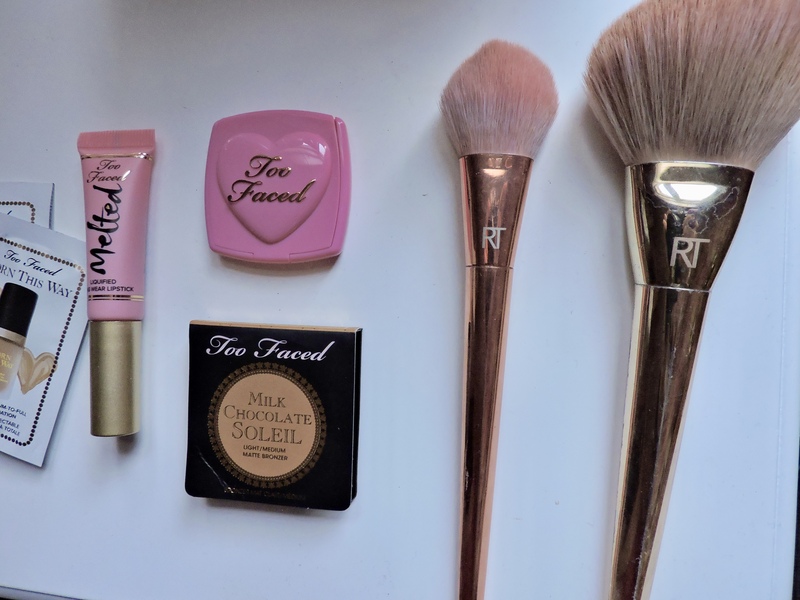 I had previously heard alot of mixed reviews about Too Faced and even though they were mostly good, I really wanted to try out some products. I got a Melted Liquid Lipstick in the shade Peony, the Deluxe Love Flush Blush in Justify My Love and the Chocolate Soleil Matte Bronzer. 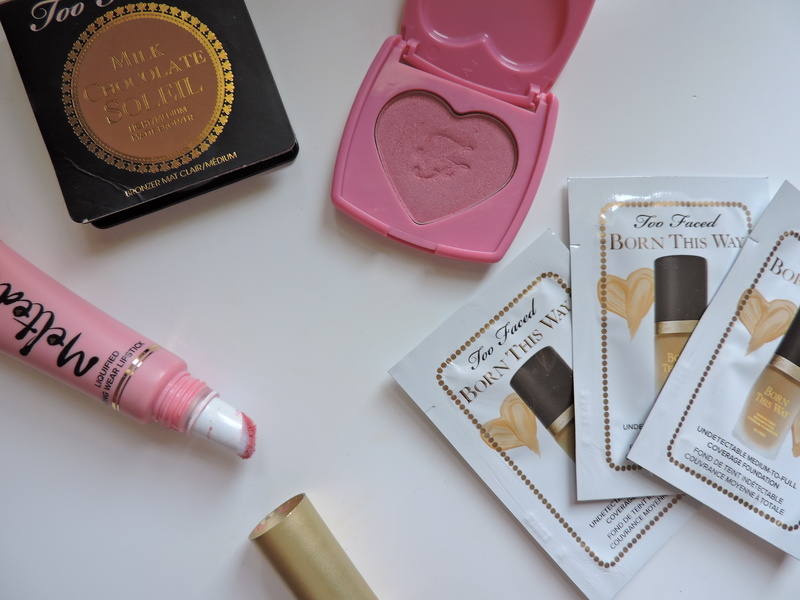 Too Faced were kind enough to offer to send me some Born This Way foundation samples, which I was really happy to have as alot of people have been constantly raving about this foundation. I was most excited to see if the bronzer really smelt like chocolate and IT DOES!! which made me happy, because who wouldn’t want a bronzer that smells like chocolate?? The products arrived in this cute Barbie pink box which just got me so excited to open it as pink is maaaa colour. What I love about this blusher the most is that when you apply it to your face it is very buildable. I hate those blushers that when you apply it to your face you instantly have really pink cheeks, which makes you regret even putting any on. So I like that I have the option to add more if I need to. The consistency of the product is nice as it isn’t chalky, and if I need to blend it out then it is easy to do so. The mini ones are also light, which is good for keeping in your handbags if you are travelling. The colour of the packaging and the product itself is a very cute Barbie pink colour. This colour makes your face look really vibrant and just adds that little bit of colour to your face. This matte bronzer is abit like the blusher, it could possibly be because I got the lightest shade but it is very buildable. It isn’t chalky on your face and blends really well as a bronzer in general. I love the colour pay off with it aswell, as it stays on my face all day and because it’s a travel size I can take it in my handbag with me. I will definitely be buying this as a bigger size when it runs out as I have really enjoyed using it AND OBVIOUSLY BECAUSE IT SMELLS LIKE CHOCOLATE! we just need to talk about this for a second, it literally smells like chocolate! WHAT? how is this even possible? I have no clue, but I love it. I have heard so many people raving about the Melted Liquid Lipsticks, therefore I had to get one. 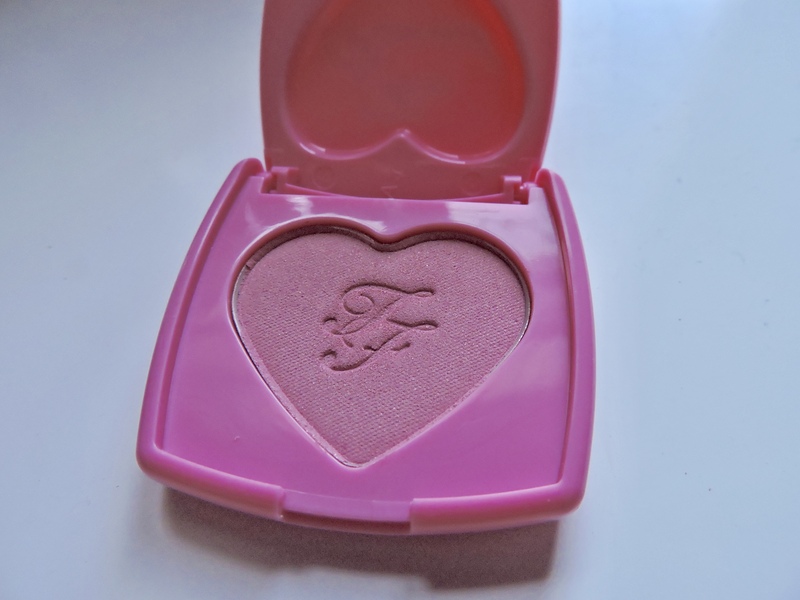 I got this cute Barbie pink shade to match the colour of my blusher so if i am feeling a Barbie pink kindaaa day then the these two products will definitely be on my face. The lipstick is pigmented, however the product appeared streaky on my lips which meant that I had to layer it a couple of times. I didn’t mind this as it was very light on my lips and at times I forgot I even had it on. It wasn’t cakey which was also good as who wants a cakey lipstick now??? The lipstick wasn’t as long-lasting as I would have liked, as it came off while I was eating and drinking but it didn’t crack or flake off it just sort of wiped off. The applicator which the lipstick comes out of is different to anything I have ever seen or used. 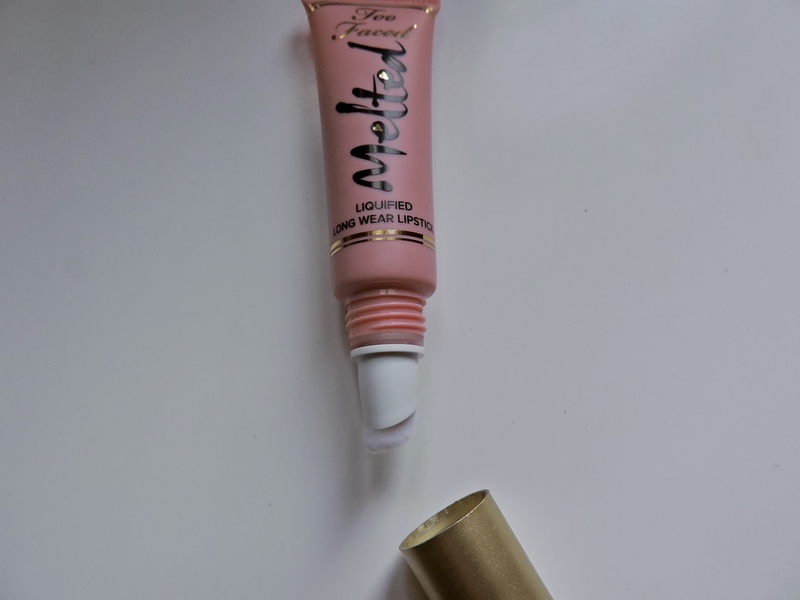 I didn’t really like the applicator as I felt like alot of product went to waste as it was stuck on the applicator, however in contrast, this type of applicator made it easier to apply to my lips as I had more control over it. 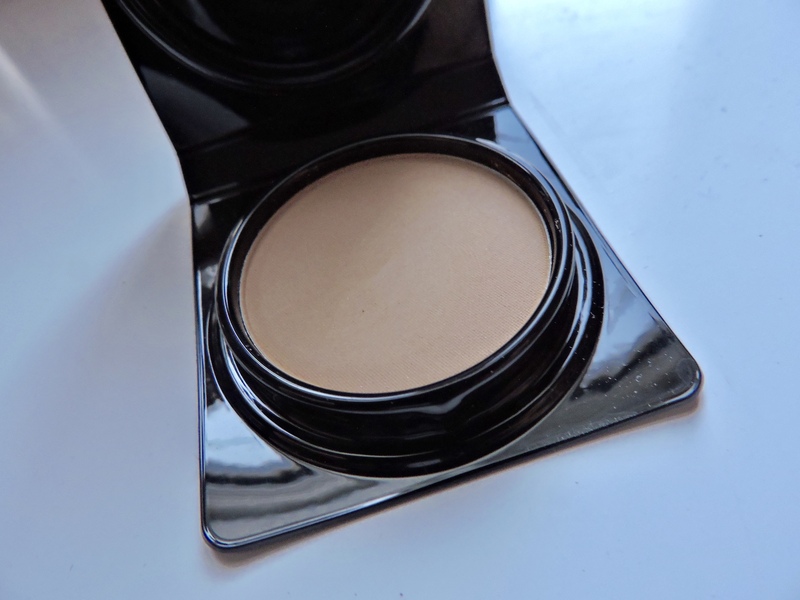 The foundation I found to be really cakey on my face and it wasn’t my skin colour which meant that I had to blend it with another lighter foundation. The coverage was really good but it felt really heavy on my face and because I sometimes get dry skin I feel like this wont be good for that. If you love full coverage foundation and don’t have dry skin then this foundation will probably be right up your street. Overall, all of the products I did really like. I would definitely recommend all of these products as they were really good. 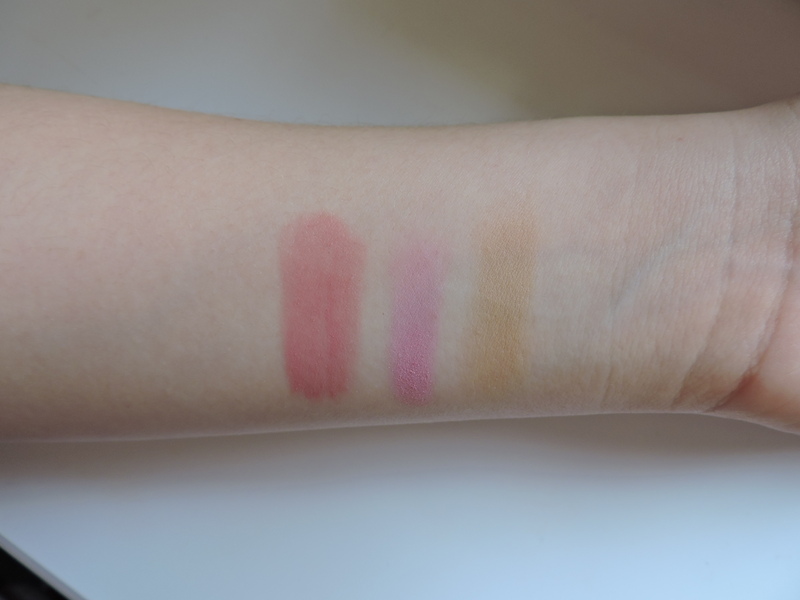 I was really impressed with the pigmentation from all of the products but did think the lipstick could have been longer lasting. You can tell that the products aren’t cheap and you are paying for what you get, I know I will definitely be purchasing more from Too Faced. 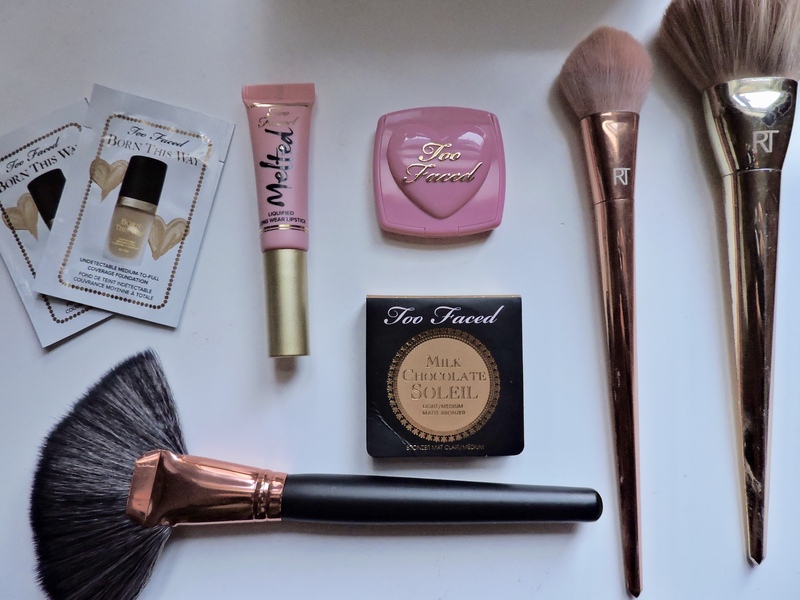 If you have tried any of Too Faced products, let me know what products you love and what products you might have been disapointed with. These are all the prices for the bigger items.